Here are your basic steps of ordering. For years of business, we have optimized the relationships with customers, making cooperation as convenient as possible. Just a few simple steps and your paper is in the bag! It is important that you receive really good service in the shortest time and with minimum fuss. We do our best to impress you positively! You are able to activate the «monitor» option and be in full control of your assignment. You can communicate with your writer or support staff, asking them any question at any stage of the writing process. Placing an order is very simple. Just complete the order form where you need to indicate your task, subject of research, deadlines, and special requirements. Sometimes, a writer of your order can engage you in a short dialogue through the message board to clarify some details. Lean back in your chair while your paper is written. At this stage, your personal writer starts to work, and you are able to control the process of writing. You can also contact your writer at any time and ask a question, amend the text or specify the sources you would like to see in your work. For your total convenience, we have created an online support service that is available 24/7. Call us, write us, chat with us and ask your questions. Our operators are glad to assist you. After ordering, you need to make a payment. 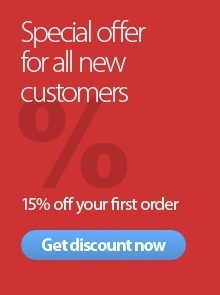 Cleveressay.co.uk enables to make it in any way convenient for you. Card payment (including Visa, Master Card and American Express), Bank transfers, Web money, Debit cards, PayPal – all these methods are available. Occasionally, if you order a large piece of writing, you are allowed to pay by instalments. You may pay for the first part and then, if you remain satisfied with the outcomes, order the next part. When your paper is completely ready, you can download it by the deadline, if not earlier. Read it attentively. Once you had reviewed your piece of writing, you are able to request a free correction if some problems are found. This request is valid up to 2 weeks after completion of the work. Following an individual approach to each customer and his/her task, we always choose a personal writer specifically for the subject of the assignment. 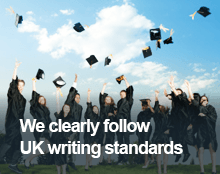 At Cleveressay.co.uk, every writer is assigned to a project that fits his/her specialization and experience. In this way, we assure that inconsistencies and mistakes are minimized. Nonetheless, you can always choose your personal writer. This is a great way to maintain high results of research projects for our numerous regular customers. They know their author and trust him/her. People want exactly this person to be in charge of their assignments. Сleveressay.co.uk has a well-working rating system and a feedback form.This allows all customers to rate, leave comments, see feedbacks and choose a writer. The existing rating system and feedback forms allow every customer to assess a writer. Our writers are rewarded for each positive comment or, conversely, are penalized for unsatisfactory reviews. You can browse the reviews before choosing a writer.